Many casinos will double your first deposit when you sign up, but Winner Casino are offering a welcome bonus which will triple it. Once you have registered, all you have to do is make a deposit of at least £35 and accept the bonus when prompted. Then, you can enjoy 200% up to £300 to play with anywhere in the casino. This means you can play with up to £900 straightaway, having deposited only £300. The welcome bonus is not just for your first deposit either as there is also a generous second deposit bonus to enjoy with Winner Casino. Once you have enjoyed the first casino bonus, it’s time to make another deposit where you can receive a 60% bonus up to £300. For example, if you deposit £50 you will get an extra £30 to play with. The terms and conditions for both these offers involve a wagering requirement of 30x on all bonus money received. This means if you receive a £100 bonus from this promotion, you would have to wager £3000 before your bonus funds would be available for withdrawal. The payment methods, Skrill and NETELLER, are not eligible for this bonus so any deposits made using these options by new customers will exclude the player from the promotion. You may not be a new player, but once you are established as a Winner Casino customer you can look forward to weekly rewards with Free Spins Tuesday. Every week you can benefit from an extra 20 spins to play on slots and jackpots when you deposit £20 on Tuesdays. You can make up to three more deposits, receiving 20 Free Spins each time. As well as the weekly rewards, you can receive a no deposit bonus just for playing with Winner Casino’s Points Loyalty Programme. You will be enrolled automatically and the points will build up as you place bets on any of the casino games. For every £12 of real money wagered, you will gain one point and be on your way in ascending through the Winner Point Levels and receiving bonuses at every stage. As you accumulate points you can keep track using the Winner Points Dashboard. The green bar will track your progress between the levels so you will always know how far you are from the next big reward. Winner Casino knows you don’t have to be tied to your desktop to enjoy the thrills of online casinos these days. That’s why they have launched the Winner App which hosts every part of their site in one place. If you also love sports, bingo and poker, you can switch between them with ease. If you are a new Winner Casino customer, signing up on the mobile casino will reward you with its own exclusive welcome bonus and you can then enjoy deals exclusive to the app. Wherever you have an internet connection, you can make your own personal casino from the palm of your hand. When enjoying promotions and bonuses in any online casino there are always terms and conditions that affect your play to consider. Winner Casino is no different and their bonus terms that apply to all of their deals can be easily found in the promotions menu. Any other specific conditions are displayed in full on the promotion, in accordance with UK law, and they are all written in clear, concise language that is easy to understand. However, there are always a few things to keep in mind before participating in any promotion. Wagering requirements are a standard feature of online casino bonuses and are something to consider before making deposit bonuses. If you receive a large bonus as a result of a larger deposit, the more money you will have to wager before you can withdraw your winnings. It is also worth considering the different wagering contributions that casino games offer towards paying off the requirements. Slots, jackpots and scratch cards will contribute 100% but many table games such as roulette, baccarat and blackjack contribute between 0-50%. 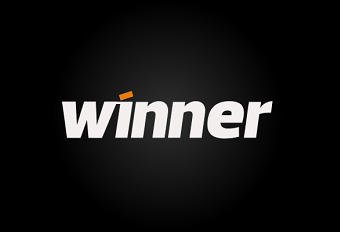 The full list of wagering contributions can be found in the terms and conditions of all bonuses on Winner Casino. If you are a big slots fan, then joining in promotions can be a very lucrative way of enhancing your play, but those who like table and card games may wish to carefully consider the benefits before participating. Many online casinos, including Winner Casino, reserve the right to monitor your real money transfers and gaming patterns to judge whether you are abusing the bonuses for monetary gain. If you change your style of gaming or deposit and withdraw large amounts of funds in a short space of time, this can be seen as suspicious behaviour and Winner Casino may confiscate winnings or suspend your account. When using promotions, bear in mind that tactical play is being monitored and might result in the loss of your winnings.